April 15, 1960. 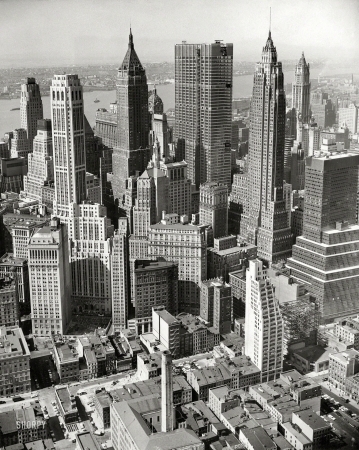 "New York City skyline, aerial view of Financial District. Chase Manhattan headquarters under construction."